Briefing reporters at the end of Prime Minister Modi's two-day visit to Nepal, Foreign Secretary Vijay Gokhale today said it was a "significant statement" from Prime Minister Oli and India was "satisfied" with discussions. 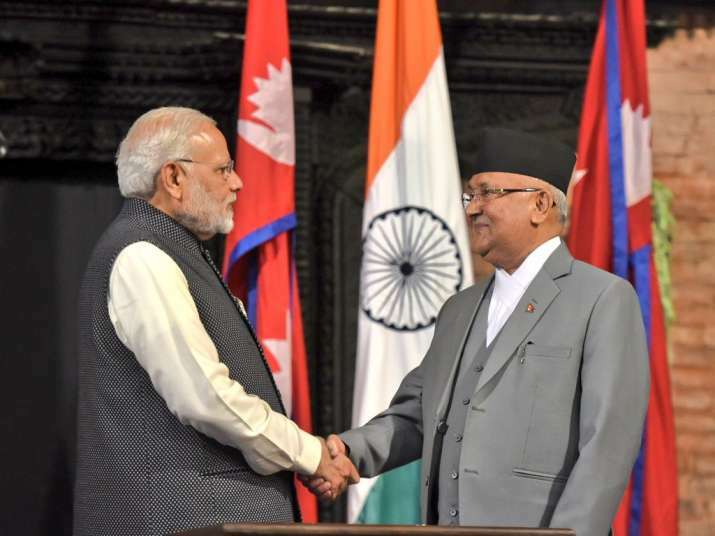 Nepal is sensitive to India's interests and would not allow its territory to be used against India, Prime Minister KP Sharma Oli has assured his Indian counterpart, Narendra Modi. "Oli reiterated that Nepal would be sensitive to India's interests and its territory would not be used against India," Gokhale said. Nepal shares a border of over 1,850 kms in the east, south and west with five Indian states Sikkim, West Bengal, Bihar, Uttar Pradesh and Uttarakhand. There has been a long tradition of free movement of people across the borders sharing family ties and culture. Travellers from both sides do not need visas. During a joint press meet yesterday after a one-on-one meeting with Oli, Modi had said the open borders between India and Nepal plays an important role in the strong bilateral ties. "We will not allow its misuse by anti-social elements," Modi said after the marathon delegation-level talks during which the two sides had an extensive discussion on all aspects of the bilateral relationship. "We have agreed to further strengthen our joint efforts on defence and security to control cross-border crimes that have been taking place by misusing our open-borders that are quite important for people on both the sides," he said. Indo-Nepal border is open, porous and thickly populated. The movement of people across the border is governed by Indo-Nepal Treaty of Peace and Friendship, 1950, which provides for free movement of citizens of both the countries across the border. During her meeting with Prime Minister Modi, Nepal President Bidya Devi Bhandari said high-level visits strengthen people-to-people contact. Gokhale said Nepali leaders who called on Prime Minister Modi expressed confidence that his visit to cultural places like Janakpur and Muktinath would enhance tourism. He also said that the two sides have agreed to an informal timeline to discuss all matters by September this year. The two leaders also discussed the implementation of various India assisted projects in Nepal and decided to bridge the implementation gap in some of the projects, the foreign secretary said. "Two visits in two months of two state leaders set our bilateral relationship on a very positive and forward-looking path," Gokhale said. In response to a question, Gokhale said there was no discussion on the issue of the South Asian Association for Regional Cooperation (SAARC). Nepal is the current chair of the SAARC. Last month, Oli said that he had spoken to both his Indian and Pakistani counterparts to resume the stalled SAARC process by sorting out their differences. 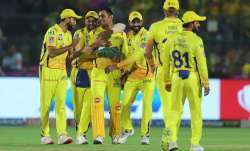 The 19th SAARC Summit was to be held in Islamabad in 2016 but after a major terror attack on an Indian Army camp in Uri in Jammu and Kashmir on September 18 that year, India expressed its inability to participate in the summit due to "prevailing circumstances" and stepped up diplomatic pressure on Pakistan. The last SAARC Summit in 2014 was held in Kathmandu.